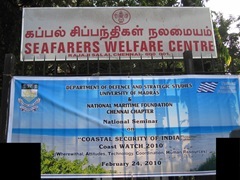 A national seminar “Coast WATCH 2010 – Coastal Security of India” was held on February 24 at Seafarer’s Club, Chennai. 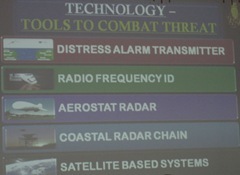 The seminar enlightened the audience on Coastal Security scenario, its challenges and required responses. 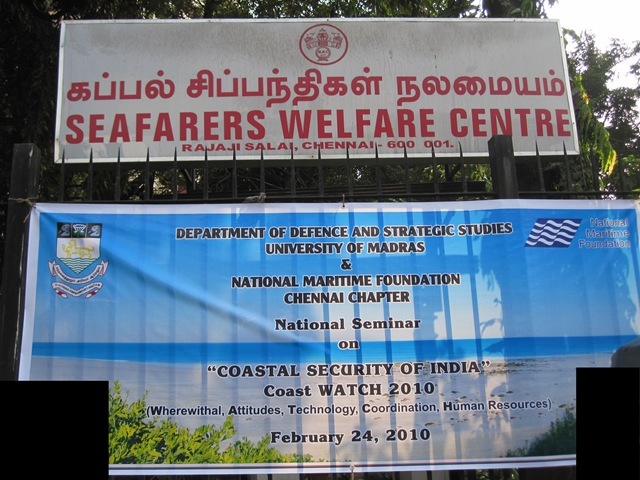 Conducted by the Department of Strategic Studies, University of Madras and the National Maritime Foundation, Chennai Chapter. 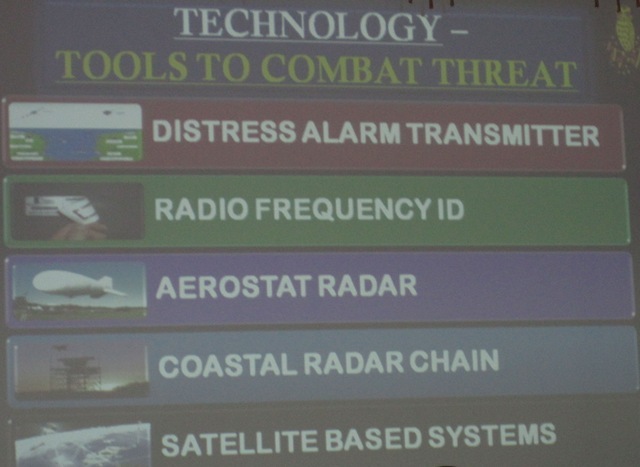 Coast WATCH focused on Wherewithal, Attitudes, Technology, Coordination, Human resources relating to Coastal Security of India. 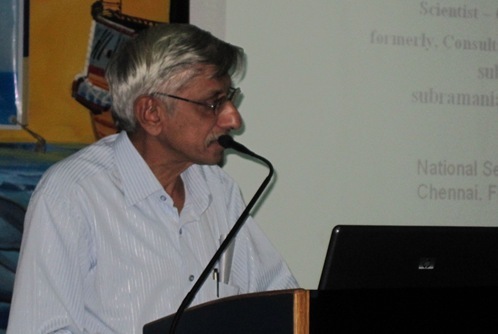 Welcome Address was given by Prof Dr Gopalji Malviya – Head, Department of Strategic Studies, University of Madras. 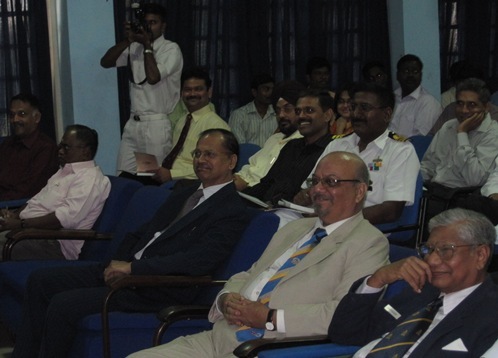 Keynote Address was given by Vice Admiral Anurag G Thapliyal, AVSM, the Commandant, Naval Academy, Ezhimala. 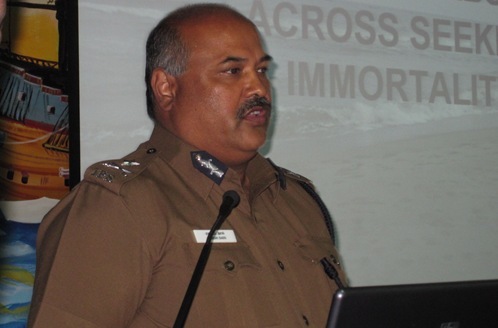 Special Address was given by Mr Rajesh Das, IPS, Inspector General of Police, Coastal Security Group, Tamil Nadu. 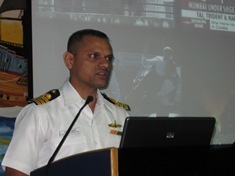 Plenary I – Strategy and Policy: Chair – Rear Admiral Venkat Shankar, VSM, CI (Navy), DSSC. 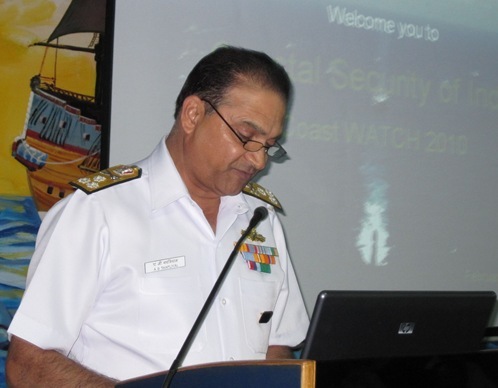 Plenary II – Functional and Institutional Security: Chair – Commodore S Shekhar, Regional Director, National Maritime Foundation, Chennai Chapter. Plenary III – Systems and Technology: Chair – Mr R Ramamurthy, President, Cyber Society of India. 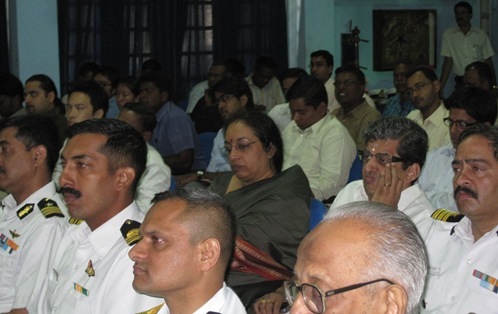 The seminar was followed by an Open House: Moderator – Captain H Balakrishnan, Navy Foundation. 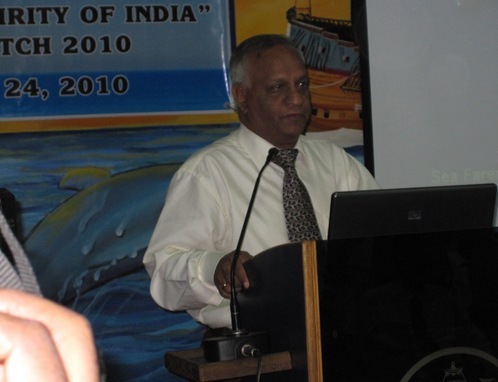 Dr S Utham Kumar Jamadhagni, Assistant Professor, Department of Strategic Studies, University of Madras. 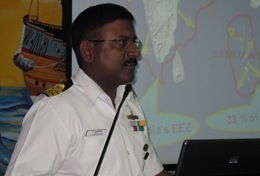 Commander R Venkatesan, National Maritime Foundation, Chennai Chapter. During rough seas, sea sickness is bound to affect the performance of marine police as they are not professional seafarers. Need to recognise the role of fishermen in coastal security and to integrate them in coastal security operations like Territorial Army. Fully using Customs and Police (as they have informers) intelligence to enhance coastal security. Using acoustic sensors to detect low flying aircrafts along with coastal radars being installed in light houses. 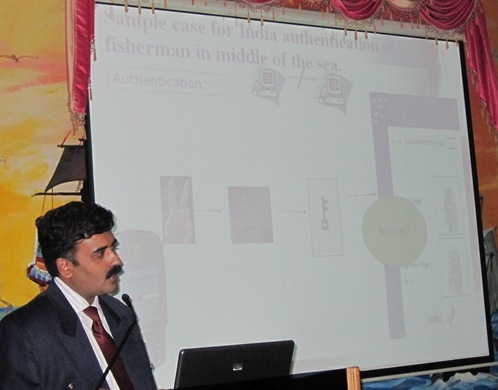 Use of GenKey’s Biocryptic Identity Management System to identify fishermen at sea with handheld units. This helps to instantly and accurately identify militants entering the coast through sea. All citizens need to have awareness on security. developing indigenous nano-satellites by ISRO (like Nanosatellite Tracking of Ships – NTS in Canada) as a long term, cost effective solution for coastal security needs has to be taken up. developing marine mammals to detect underwater threat as a means to counter threats through underwater and means to identify and eliminate threats from armed Unmanned Aerial Vehicles (drones – launched from sea) need to be taken up. Here are some photographs covering the seminar. Welcome Address by Prof Dr Gopalji Malviya. Keynote Address by Vice Admiral Anurag G Thapliyal, AVSM. Special Address by Mr Rajesh Das, IPS. 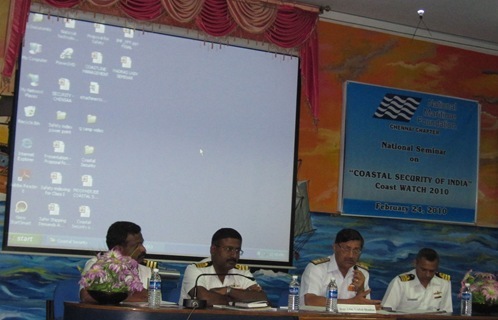 “Coastal security – Strategic perspectives for securing maritime borders” by Commander A Subramanian and Commander Amitav Mookherjee. 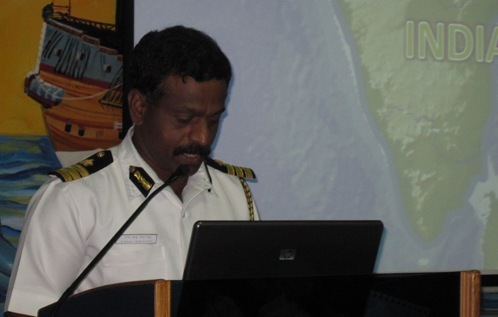 “Developments in coastal security – A Coast Guard perspective” by Commandant S Babu Venkatesh. 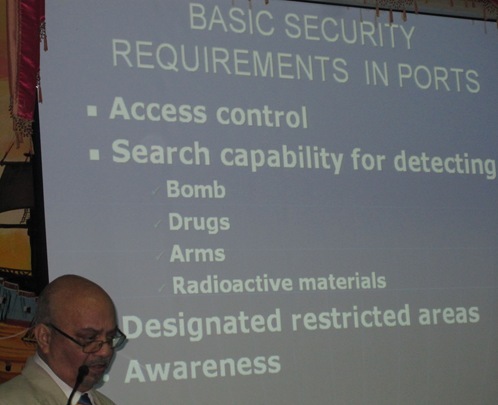 “Coastal Security Post 26/11: Perceptions and Realities” by Commodore R S Vasan. 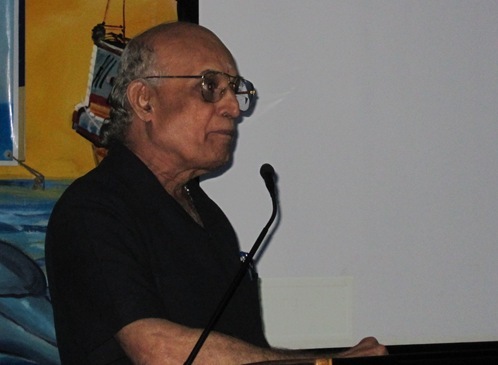 “Indian Fishermen Security in the Palk Straits: Issues of livelihood and the Indian State” by Dr Adluri Subramanian Raju, Reader in the Centre for South Asian Studies, Pondicherry University, Puducherry. 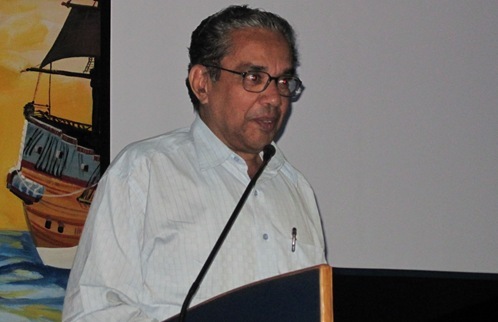 “Exploiting acoustic propagation towards detection and localization of low flying aircraft in the maritime environment” by Subramanian Sadasivan, Scientist – G (retd), ADE, Bangalore. 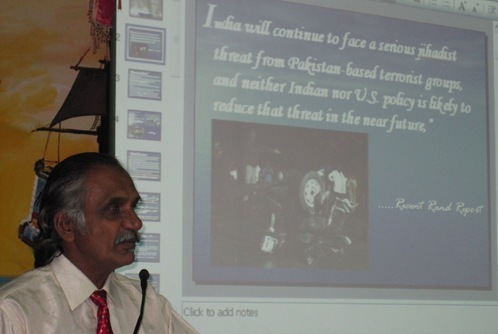 Mr R Ramamurthy, President, Cyber Society of India. The University of Madras and the National Maritime Foundation, Chennai Chapter deserve deep appreciation to organise this national seminar. View more photographs of the seminar from – Flickr. Mapping of the entire Tamil Nadu coastline, from a security perspective is expected to be over in another 10 days. Read more from The Hindu.